This Week, We’re Exploring the Emerald City! 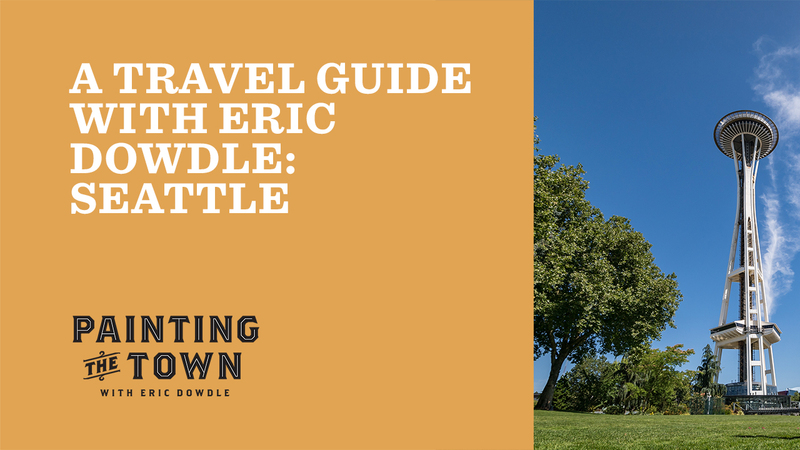 Last night, we joined Eric as he took a trip to the famous Seattle, Washington, appropriately named the “Emerald City” for all its green vegetation, in Painting the Town with Eric Dowdle! 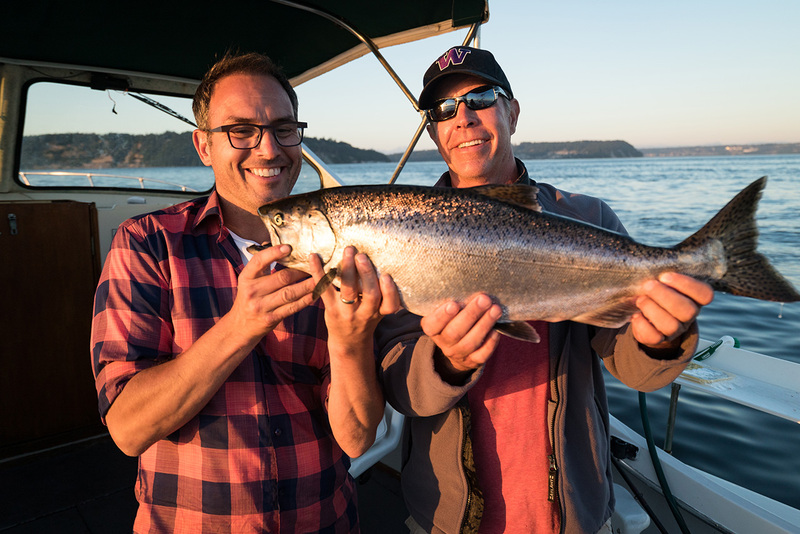 After fishing for salmon and navigating the lavender farms like a local, Eric feels more connected than ever to Seattle’s rich culture. 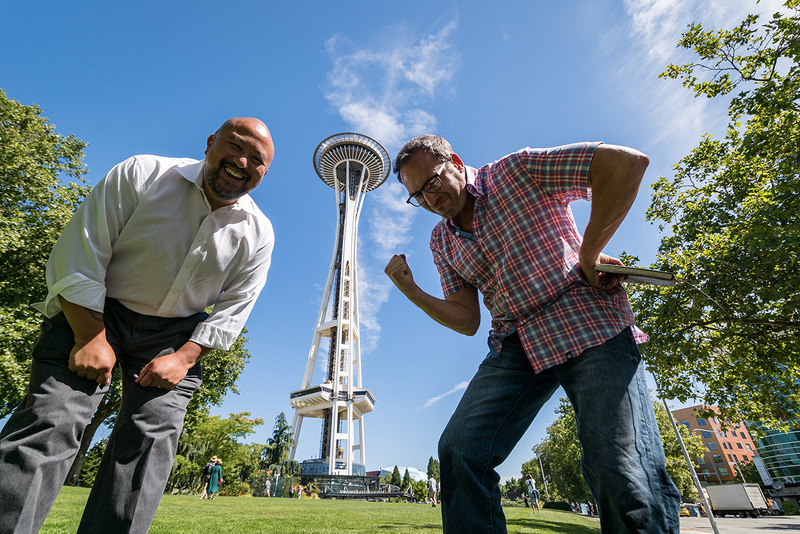 So we joined forces with him to create the ultimate Seattle travel guide with a list of must-see landmarks, museums, and more! If you’ve never been to the Evergreen State, don’t worry—there’s no time like the present! Don’t forget to bring this travel guide along so you don’t miss out on all the West-Coast charm of Seattle. Located just outside the Pike Place Market, the Gum Wall has been one of Seattle’s most unique attractions for over 20 years. It’s exactly what it sounds like—a wall covered in chewing gum, which serves as a great spot for a photo op and a place to contribute something of your own to the city. 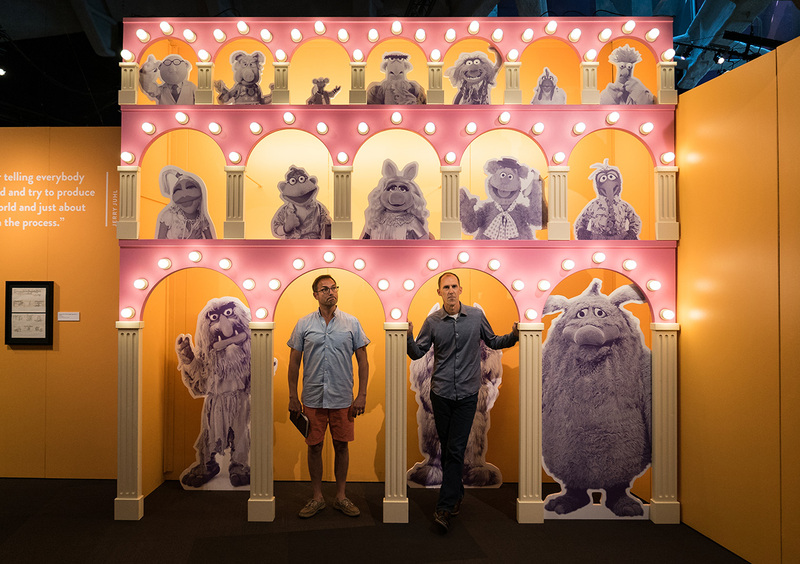 A dedication to imagination and a homage to contemporary culture, this non-profit museum is the perfect place to get your creative juices flowing and appreciate the efforts of artists around the world. Ticket prices range from $17–34, and children are admitted free of charge. At the base of the Space Needle lies the Pacific Science Center, a place where children’s imaginations can run wild as they seek to discover the scientific world through a variety of interactive exhibits. One of Seattle’s great cultural treasures is the art of glassblowing. At the Seattle Glassblowing Studio, talented artists are able to handcraft stunning pieces that range anywhere from the practical, like a cup, to a unique piece of art. 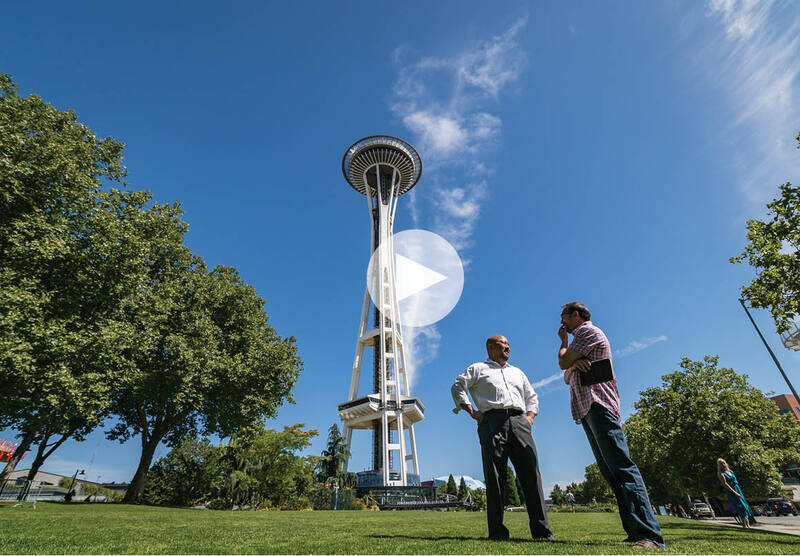 Those who have never been have certainly heard of the world-famous Space Needle, a 600-foot observation tower that houses a restaurant and a rotating glass floor. Don’t miss out on this West-Coast phenomenon! One of Seattle’s trademarks is its picturesque fields of lush lavender. 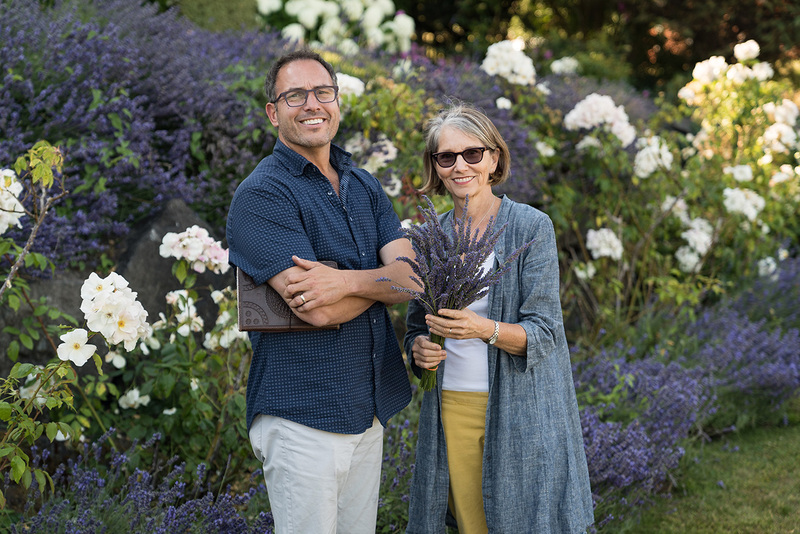 At Lavender Hill Farm in Vashon, just outside Seattle, you can explore the fields and even stay in their farmhouse lodging for family get-togethers! 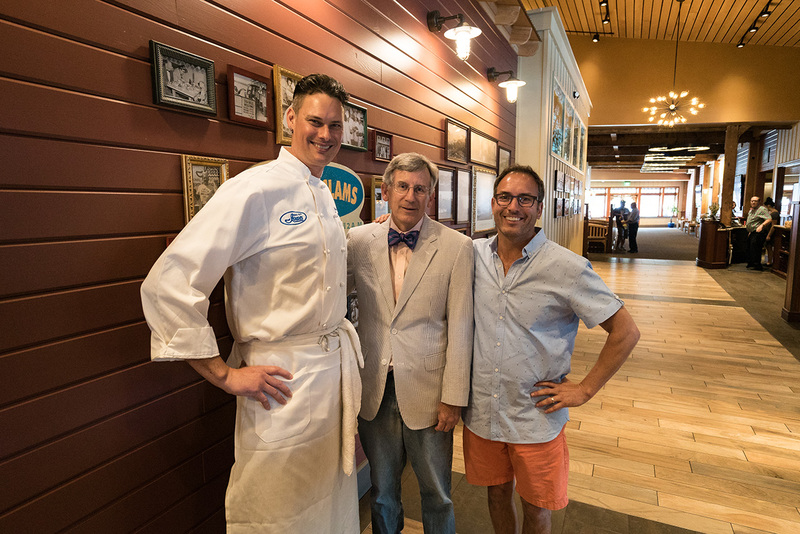 We all know Eric would never visit a city without checking out what fantastic food it had to offer. So as his courtesy to you, here are some of Eric’s favorite flavors of Seattle! Ivar's offers Seattle salmon in the best way—in a scrumptious chowder—as well as other seafood delicacies. Stop by to get a taste of the town! 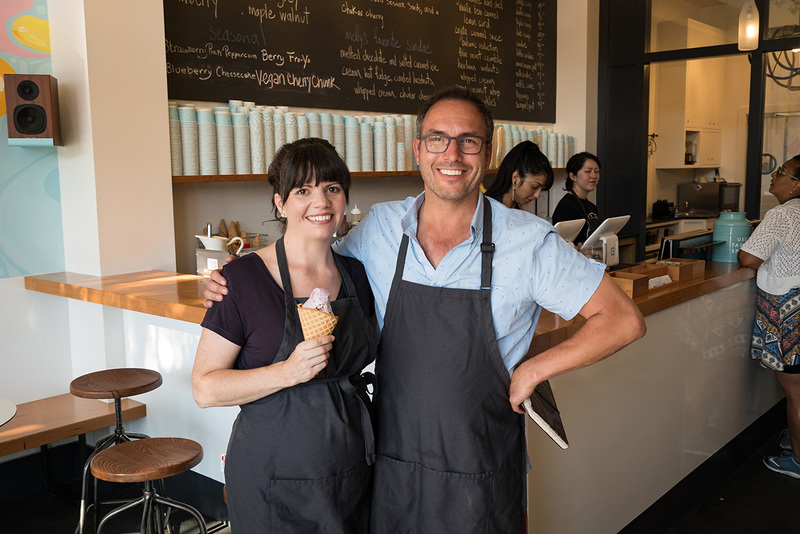 Molly Moon's crafts delicious local flavors like lavender and honey into creamy ice cream. What's not to love?! 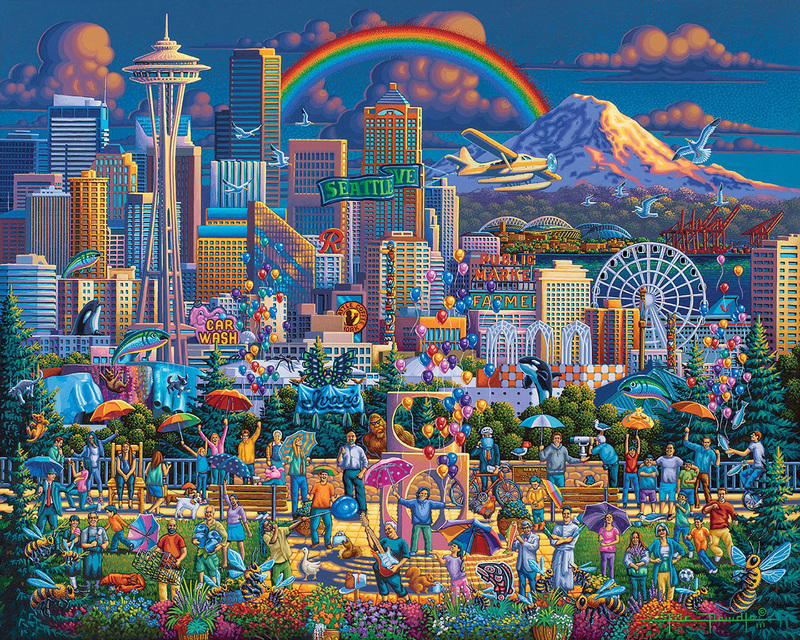 After seeing views from the top of the Space Needle to the surface of the Puget Sound, Eric found plenty of ways to incorporate the beauty of Seattle into his painting of the town!